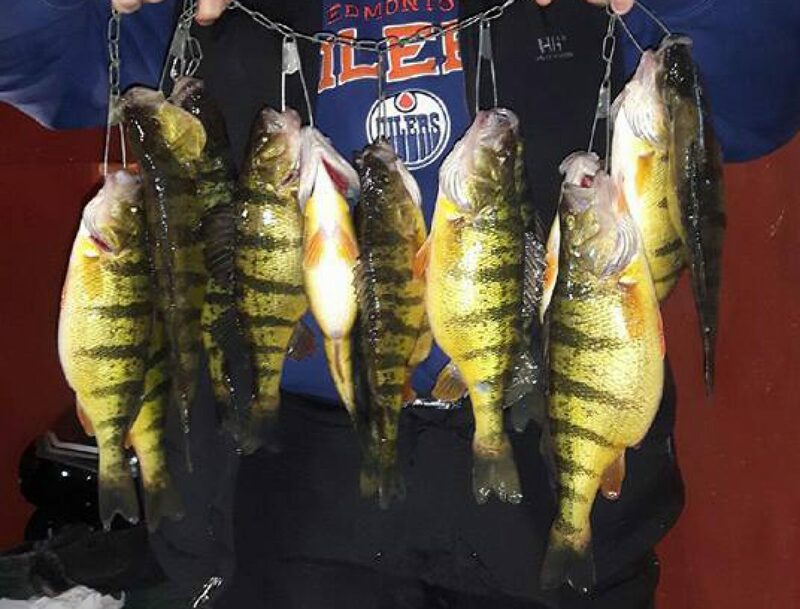 We mainly specialize in jumbo perch, if ice conditions are co-operative lake trout and white fish huts will be available as well. Shop will be open for bait and simple ice fishing accessories. All of our huts are equipped for your comfort with 2 padded bench seats and a two burner propane stove. Our 8×8 huts seat 4 people comfortably. The 2 benches are both 8ft long. They have 2 trench cut holes, 1.5ft wide and 4ft long. Our 8×12 huts seat 10 people comfortably. The 2 benches are 12ft long. They have 5 trench cut holes, 1ft wide and 2.5ft long. Our huts can sleep two people. Our 8ft padded benches leave enough room to stretch out comfortably. We provide 24 hour on call service.